Blue Science can perform equipment upgrades & repair as needed on all types of inground swimming pools most places in the San Antonio area. Quotes over the phone are for a standard installation. Special circumstances will require us to perform a service call to evaluate your pool and make an appropriate quote to fit your needs. Most of our pool repair service calls to New Braunfels homeowners are $99 for a diagnosis. Pumps: We can install energy efficient pumps (which have become very popular in New Braunfels). We can also sometimes optimize a pump's settings to be better paired to your filter and water features. Filters: We can upgrade you to the latest filtration methods such as a hybrid filter. A better filter can allow you to run your equipment for less time, saving on electricity. Sweeps or Cleaners: We can upgrade or replace your worn out cleaner and make sure it is properly installed and fitted for your pool. This can make all the difference in its performance. We also can help you convert a suction sweep to a pressure sweep such as a Polaris. Equipment Sets: We can install a new pad and set of equipment to upgrade your circulation and filtration to the performance and electrical efficiency of a new swimming pool. Ozonators: New Braunfels pool owners can now go virtually chlorine free with an ozonator. We recommend ozonators over a salt system or choosing a saltwater pool unless you just love the way the saltwater feels and that is worth the salt water system trade-offs to you. Saltwater Systems: We can install the latest in saltwater systems. Very popular in the San Antonio area! This includes systems that we clean themselves (very helpful for prolonging life and efficiency) through reverse osmosis and can be controlled via a computerized control system. We can repair most types of damage to pool decks, surfaces, and walls. To renovate your pool and surfaces, browse our New Braunfels remodeling services. Good news! Blue Science also offers leak detection services for New Braunfels pools. A full leak detection includes pressure testing the lines, dye testing, and diving in the swimming pool with a scuba tank to check cracks, drains and pool returns. Learn more about our leak detection services. 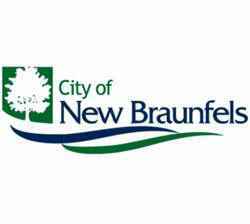 The city of New Braunfels has continued to grow each and every year since its conception to their current population of 59,590 encompassing 29.4 sq. miles. New Braunfels is traditionally known for three unique features: Schlitterbahn Waterpark, tubing down the Guadalupe and Comal rivers, and the annual German Wurstfest. New Braunfels also provides many unique small businesses, great scenery, and a growing economy. Our company began servicing New Braunfels in January 2013 and has found the people to be just as refreshing as the cold waters of the Comal River. When providing pool repairs and equipment installations in New Braunfels, we use only supplies and parts from top pool companies.